Have you ever ruined a pair of jeans trying to make the perfect cutoff shorts? You’re not alone. To never fail at this super simple DIY project, we are sharing five tips that are sure to guide you in the right “I-want-those-denim-shorts” direction. Buy a pair of jeans two sizes too big. Next time you hit up your favorite Goodwill store, try looking for a pair of jeans that are around two sizes too big, the extra room will create the most flattering and loosely lived-in pair of cutoffs. Draw your desired hemline with chalk. Once you are happy with the length of your shorts, it’s time to focus on the fray. This process is simple; all you need to do is run a pair of pinking shears at the edge of your shorts. Voilà: you now have an effortless, perfectly unraveled frayed edge. Wash and dry before wearing. Looking for a unique and affordable Halloween costume? Visit one of our Goodwill locations! You’ll find everything you need to create an awesome, one-of-a-kind look. 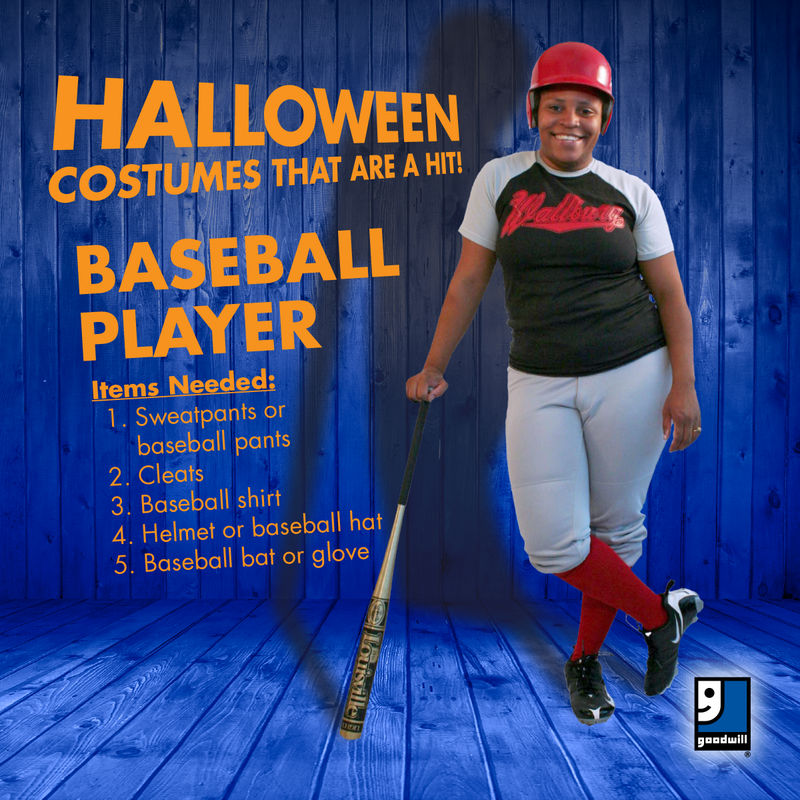 Here are some easy costumes you can create with items from your local Goodwill. Find the store nearest you by visiting www.mariongoodwill.org. Witch: Grab a black dress and black pointed hat. Wear tights and black shoes. We love the subtle pink detail in this dress and the purple tights. Who says you have to wear all black? Accessorize with a broom, cape or cauldron. Pirate: Pair a white button-down shirt with black pants and black vest or suit jacket with the sleeves removed. 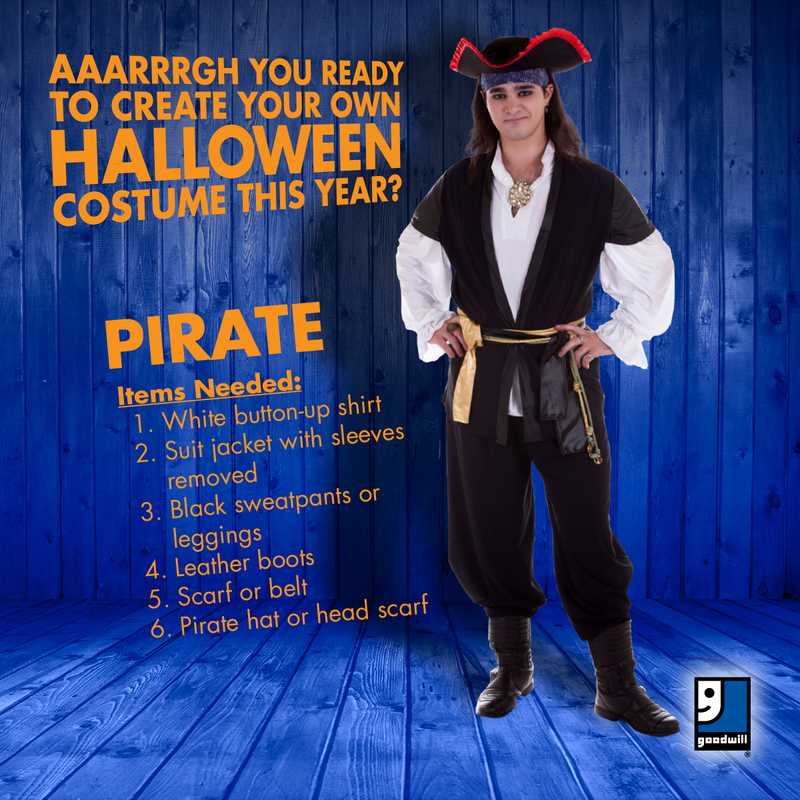 Add a sash around your waist, a seaworthy hat and pirate makeup to complete the costume. Bonus points if you wear a pair of leather boots to complete the look! Baseball Player: Find a pair of sweatpants or baseball pants. Add a baseball-style shirt or the shirt of your favorite baseball team. Finish with baseball cap, bat or glove. 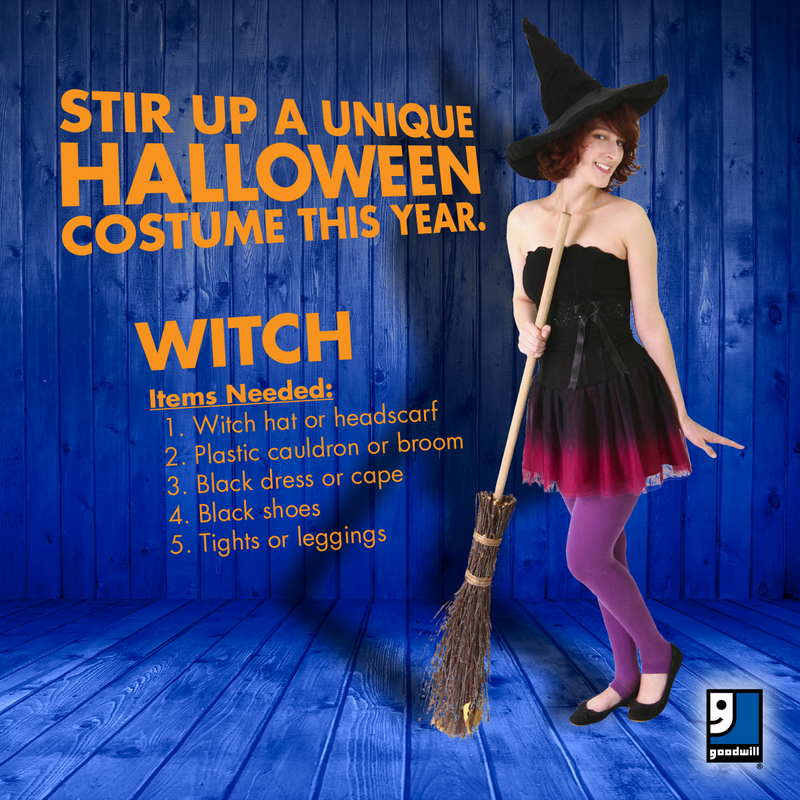 By purchasing items at Goodwill, you’ll save on your Halloween costumes and be able to use those clothes again once Halloween is over. You can also feel good knowing that your purchase will help provide job training and community services to people looking for work in the communities we serve.